I'm even more impressed Goods arrived on the requested day (paid for express delivery) The packaging of the goods was really belt and braces. We understand that buying furniture for your home is a big decision, whether you're starting from scratch, replacing old furniture or updating the look of a particular room. 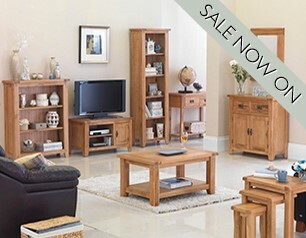 At Lifestyle Furniture we aim to make your decision easy by only stocking top quality, great value wooden furniture that has been designed and made to last. Furniture we'd be happy to have in our own homes. You won't find any flat-packs here. All of our oak, pine and sheesham wood furniture has been expertly crafted and finished by hand so no two pieces are exactly alike. We're confident you'll find everything you need among our carefully chosen collections but if we don't happen to have exactly what you're looking for, give us a call and let us know as we can also offer custom-designed pieces for some ranges. 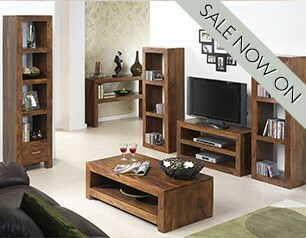 Keep an eye out for our offers and discounts too. 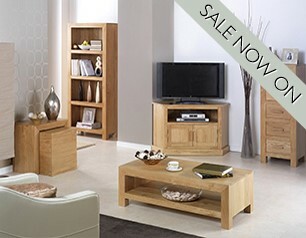 Because we only sell online, we can price our furniture really keenly without compromising on quality. 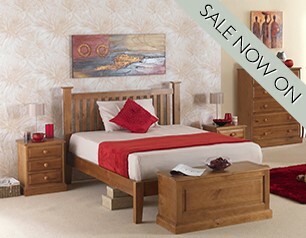 Sign up to receive our emails and you'll be one of the first to know about our exclusive deals. Our Cuba Sheesham range, for example, mixes clean, contemporary lines with an exotic dark finish that will add warmth and elegance to your home. As well as the pieces you'd expect to see like coffee tables, chests of drawers and sideboards, this stunning collection features more eclectic items in interesting geometric shapes that will help you add character to your living space. 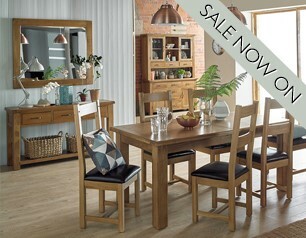 If your tastes run more to the traditional then you might want to consider our Rustic Oak range. 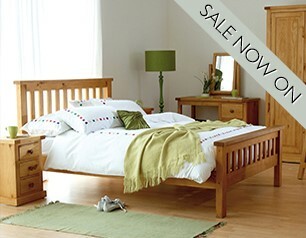 Ideal for creating a cosy country cottage feel, you can't beat oak furniture for strength, durability and natural warmth and beauty. And it only gets better looking as it ages. "Wow - I had to take time out of a hectic schedule to give some feedback and I have to say that purchasing the Jali Sheesham Low Bookcase from Lifestyle Furniture has been a fantastic experience. Not only is the website very 'clean' with great images, but when the item arrived (delivered timely by two polite and professional men), the quality of the item far surpassed my expectations, and I have high expectations! 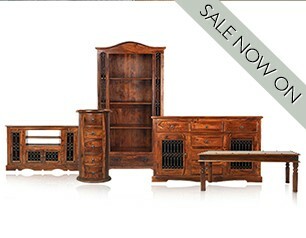 What a beautiful, quality, piece of furniture, at a great price!" If you have any questions or need advice then give our friendly, knowledgeable customer services team a call on 0845 850 0008 and they'll be glad to help you.